New research shows that syptoms of ADHD, such as Hyperactivity and impulsiveness, can be beneficial when it comes to entrepreneurship. Hyperactivity and impulsiveness are symptoms that pose daily challenges to people living with Attention Deficit Hyperactivity Disorder (ADHD), but new research shows that they can be beneficial when it comes to entrepreneurship. Symptoms that at first glance might seem to lower performance can in fact have a positive impact on entrepreneurial traits: risk taking, passion, persistence and time commitment, all favourable for entrepreneurial flair. Professor Dimo Dimov from the University’s School of Management worked with colleagues at the Technical University of Munich and Syracuse University to ask 14 self-employed people with ADHD about their diagnoses, their careers and their personal background. People with ADHD can find it difficult to suppress impulsiveness, but for an entrepreneur, intuitive decision-making that is unimpeded by considering the consequences can result in bold business choices. The study, published in the Journal of Business Venturing Insights, shows that important symptoms of ADHD had a decisive impact on the subjects' decision to go into business and on their entrepreneurial approach. Several of the participants in the study cited boredom in their previous jobs as a reason for setting up their own company, where they could follow up on their own ideas whenever they wanted. Most of those surveyed said they act without thinking, even when making far-reaching decisions. One of the entrepreneurs described buying a friend's company over lunch. He only learned of the friend's plan to retire during the meal. When people with ADHD have a strong interest in a task, they display an unusual level of concentration known as hyperfocus. This passion and persistence can translate into expertise which paves the way for gaining a substantial competitive advantage. 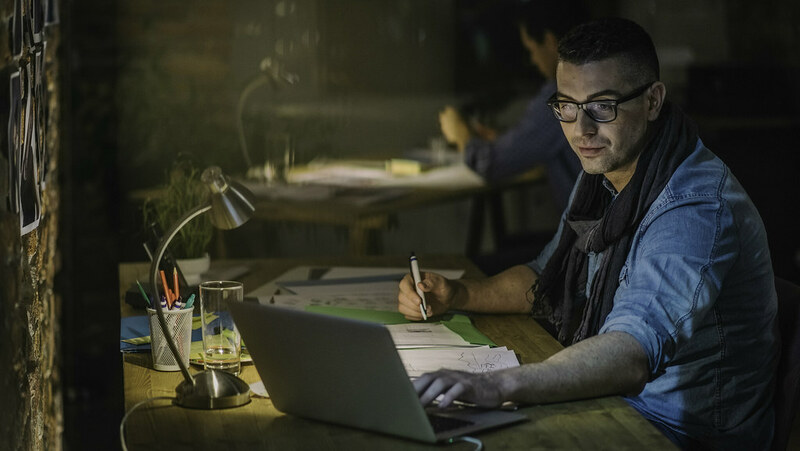 Many of the entrepreneurs in the study work day and night without taking time off, due to hyperfocus and the physical restlessness associated with ADHD. An advantage in running their own businesses is that they can set their own hours. Although one third of those surveyed failed in their business ventures or had little success, the researchers see the results of the study as vital for prompting a new look at entrepreneurship research. Professor Johan Wiklund at Syracuse University explained: "The way we evaluate entrepreneurial decisions is largely based on rationality and good outcomes. In view of the multitude of uncertainties, however, can such decisions always be rational? People with ADHD show us a different logic that is perhaps better suited to entrepreneurship." Entrepreneurship and psychological disorders: How ADHD can be productively harnessed was published in the Journal of Business Venturing Insights.